I didn’t take this photo on Sep 11 but the previous week. 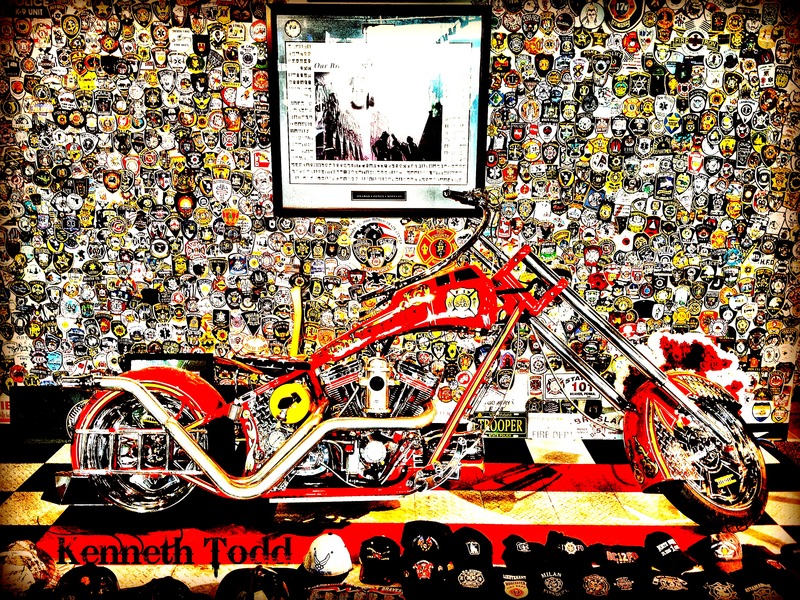 I was at OCC (home of American Chopper) and knew that I wanted to use this image for Sep 11. This is the bike they built in honor of the Fireman who lost their lives on Sep 11. In the background are the badges of Fireman from all around the world, as well as Fireman caps from around the world. I took this with my iPhone.